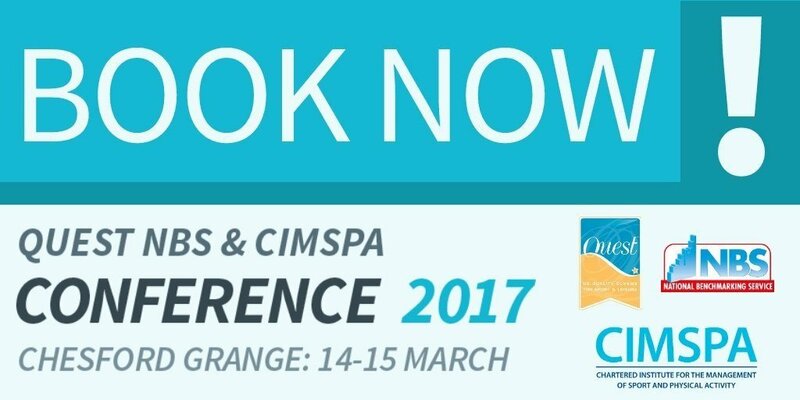 Leisure Energy are proud sponsors of the Quest NBS & CIMSPA conference 2017 on 14 and 15 March in Kenilworth, Warwickshire. The two-day conference is jointly hosted by Chartered Institute for the Management of Sport and Physical Activity (CIMSPA) and Quest NBS, the UK’s sport and leisure quality scheme. The overarching theme of this year’s conference is The Benefits of Investing in Quality Facilities. To us, quality means operational efficiency and a comfortable leisure centre environment. The challenge for many leisure centres is to identify what an energy efficient centre should pay for their energy usage. Leisure Energy works with leisure operators to significantly lower their utility bills by developing energy management strategies that use the latest patented technology, with excellent returns on investment. We have helped leisure centres save up to 35% on their consumption and dramatically reduce their carbon emissions. Leisure Energy is exhibiting at the conference so do come along and speak to us if you would like to make savings and avoid wastage at your leisure centre.